6/24/18: Granny Flat Success in Sacramento! This week, we took another step toward more permitted granny flats in Encinitas. Early Wednesday morning before our City Council meeting, I flew to Sacramento to appear in front of California lawmakers at the Assembly Housing and Community Development Committee. I was there to advocate for a bill authored by our state Senator Pat Bates and sponsored by Encinitas that will make it easier for residents to permit their accessory dwelling units, otherwise known as granny flats. And it was approved unanimously by the committee! 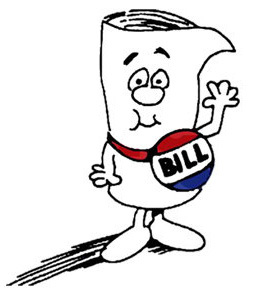 But the bill still has quite a journey ahead of it – more on that in a minute. Giving residents more opportunities to permit their accessory units, and building more of them overall in the city, is a top goal. I’ve been working closely with our state lobbyist and our state senator on this bill, SB 1226, for close to two years. Appearing in front of the housing committee let them unmistakably know how crucial the bill is to our city. Encinitas residents have told us that their existing, sometimes very old, accessory dwelling units cannot be brought up to current code because it would be practically impossible given current requirements, and prohibitively expensive. If it was reasonable and possible, many people with unpermitted units would prefer to avoid the fear and uncertainty of living in the shadows and would like to make their units legal. 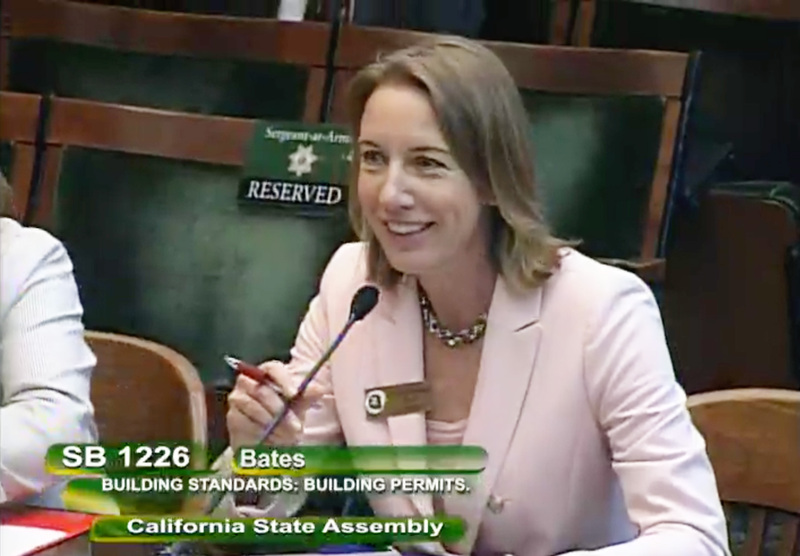 SB 1226 would allow a building inspector to rely on the code that was in effect when the unit was constructed to issue a permit, instead of requiring owners to bring units up to current code. This adds another useful tool in the tool box. In some circumstances, the only option for someone who can’t permit a unit is to tear it down. For a city and a state in a housing crisis, that is not a desirable option. We’re aiming for more homes, not fewer. The goal with the bill is for residents to have as much latitude as possible in making sure their units are safe, habitable and permitted. This is the first time the city of Encinitas has sponsored a bill at the state level in the last 20 years. The insights I’ve gained while going through this state legislative process may lead to more successful activity on our behalf in Sacramento. So the bill passed on consent in the state Senate, and was unanimously approved in the Assembly Housing and Community Development committee. After heading to the Assembly Appropriations Committee in early August, the bill will be headed to the floor of the Assembly and then to the governor’s desk, where it will hopefully be signed into law. I’ll keep you in the loop as the bill progresses. Fingers crossed! Here’s the Encinitas Advocate story and from the Voice of San Diego, Bates and Encinitas Push Granny Flat Measure (scroll down to the second article). We edged closer to the painful and difficult goal of finalizing Encinitas’ state-required housing plan during an epic City Council meeting which started Wednesday at 3:30 p.m. and ended 10 hours later early Thursday morning. More than 250 Encinitans showed up for the marathon session that lasted past 2 a.m., which is apparently a city record. This spectacular turnout filled the council chamber, an adjacent observation room, spilled into the parking lot and lobby, and people also watched video of the meeting from another large overflow room. Nearly a hundred residents filled out speaker slips and, by the time the clock had struck two, around 65 people had addressed the meeting. Ultimately, a housing plan with upzoning for about 1400 units spread throughout the city – fewer than the state wants – was approved by the council, although it’s not the plan that received certification by state regulators. The vote was 3-2, with Councilmember Tasha Boerner Horvath and me voting no. Four sites were removed from the housing plan map. Two of the removed sites had generated particularly strong opposition — one on Rancho Santa Fe Road (east) and one off El Camino Real that was the site of the former Frog’s Gym. The other two removed sites weren’t giving us any credit with state regulators because the state didn’t believe that housing would be built on them in the next 2.5 years, the time remaining in this planning period. Another site – on the corner of Lake and Birmingham – was never on the list in the first place but provoked lots of opposition after the Planning Commission recommended it be added. In order to save everyone’s time, we declared at the outset of the meeting that this site wasn’t being considered. The messy and challenging aspects of a vibrant democracy were on full display at this meeting. 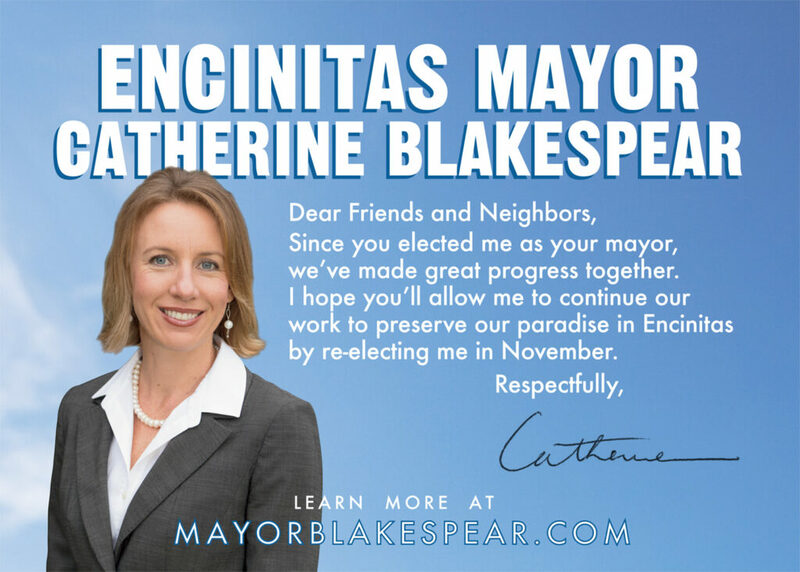 While we are united by protectiveness and love for our Encinitas, finding that sweet spot where fairness, empathy, logic, and compliance intersect is indisputably elusive. From my view, the road ahead is rocky and uncertain, but all of us – elected officials and concerned citizens – are doggedly trudging our way through. My perspective remains the same, which is that our city has a moral and legal obligation to do our part – just like every other city – to find places where homes can be built that are affordable for families earning less than $80,000 a year. Here are three news stories that can give you more context and details from the Coast News, the San Diego Union-Tribune, and the Encinitas Advocate. Along with most of the rest of America, I decried the inhumanity and cruelty of our government separating immigrant children from their parents in a letter to U.S. Attorney General Jeff Sessions this week. While I was relieved by their purported policy reversal, the crisis is far from over. The letter itself is here and a Coast News article is here. Help the CRC keep on truckin’! A very worthy Encinitas organization, the Community Resource Center, is trying to raise about $35,000 more to replace their decrepit delivery truck. The truck is used to haul refrigerated food to the CRC for distribution to families and people who are less fortunate. If you’re one of those people who prefer to contribute to specific and tangible hard costs instead of ongoing operations, here’s your excellent chance! You can donate directly here, or visit CRC’s website. An article about the need for a new CRC truck is in the Coast News. I’m taking a breather from the newsletter next week. I hope you’re enjoying summer despite the June gloom, which has its own understated beauty and softness, I think! P.S. Let’s walk and talk during our upcoming series of “Walk with the Mayor” campaign re-election events! You’re invited to join us and bring your friends along. You’ll see a new part of the city and get some fresh air and exercise. It’s a great way for us to get to know each other better, and for me to hear your thoughts, concerns and ideas. Each walk will last around an hour. Some of the walks and special guests have changed slightly from the last newsletter so please review.